The Macomb County Rotating Emergency Shelter Team (MCREST) is a non-profit organization that provides resources and support to individuals who are homeless or displaced. Thank you to Gary Lusk for suggesting MCREST for this blog topic. MCREST provides services (food, shelter, training) for Macomb County's homeless for up to 90 days, for 365 days of the year. The organization began in 1988 with the concept of a day camp organized by the Trinity Lutheran Church in Clinton Township. There are 90 churches throughout the area who support this program. You can view the directory of churches who participate in this program at http://www.mcrest.org/member-churches/. My church, St. Ronald, participates in this program. Each year, 500 adults and 100 children benefit from the MCREST program. While monetary donations are appreciated, MCREST is also in need of many items including diapers, toddler snacks, and travel size hygiene products (shampoo, conditioner, toothpaste, etc.). Learn more at http://www.mcrest.org/get-involved/. Was this blog informative and/or helpful? Please click to share on your social networks and leave a comment. And the next time your church hosts MCREST, please consider participating, volunteering your time, or donating needed resources. Read about other charitable organizations here. Thank you to Josephine Dries who suggested this organization as a blog topic. Here are five facts I learned while visiting their website. Their programs and services include: bill payment (utilities, auto, insurance, and even funeral expenses); children's services (daycare, school supplies, activities); and counseling services. There are many ways to volunteer to help this wonderful organization. These include making blankets, stuffing envelopes, making cash donations, or hosting events. If you shop at Kroger, you can link your loyalty card to the New Day Foundation for Families which receives a donation every time you shop - at no cost to you. Learn more at https://www.foundationforfamilies.org/donate-now/donate-while-you-shop/. Was this blog informative and/or helpful? Please click to share on your social networks and leave a comment. And if you are fighting cancer or supporting a family member who is, please check out the New Day Foundation for Families. 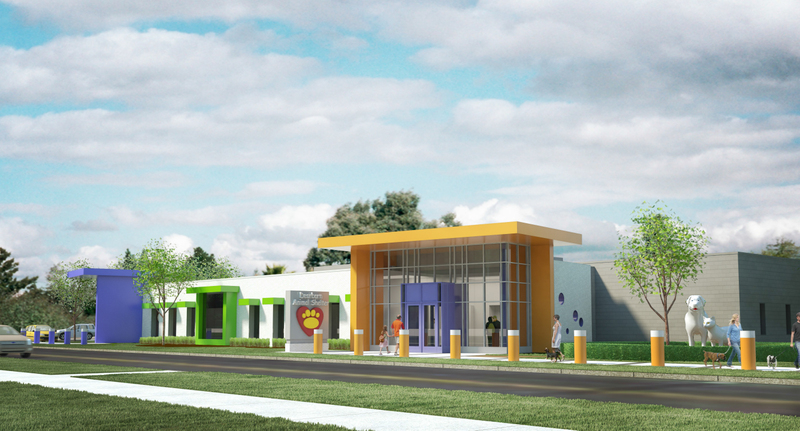 The Dearborn Animal Shelter is a non profit organization in Dearborn, Michigan. Here are five interesting facts about this wonderful organization. In 2014, this shelter handled 2,725 total animals. This included 1,470 cats and 1,054 dogs. If you're doing the math, you'll see this doesn't add up. That's because they have also handled 201 other species. There are 12 full-time employees and 18 part-time employees. In addition, over 113 active volunteers help this organization. Volunteers can help with daily operations, cleaning, and of course caring for the animals. All volunteers are required to participate in orientation. The shelter organizes doggie playdates, appropriately named "paw-ties." Learn more at https://www.dearbornanimals.org/what-we-do/pooch-paw-ties-and-play-dates/. Their current need is advertised at the top of their website, which is Pedigree dog food. Thank you to Anne Garbus for recommending the Dearborn Animal Shelter for this blog topic. When we're ready to adopt a dog, I'm definitely going to look to this shelter. JP2MRI differentiates itself by committing to not support embryonic stem cell research. In addition, they commit more than half of their budget to medical research. 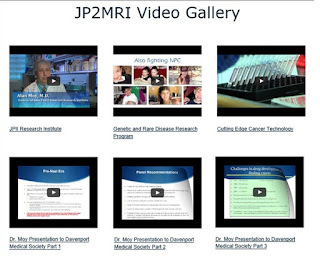 Visit their video library to learn more about the JP2MRI. Information about the ethics of medical research including the Nuremberg Code can be found at http://www.jp2mri.org/#!nuremberg-code/cz3o. One of the ways that "You Can Help" this institute is by sharing their website and information on social media. Click to share this post and you've done just that. Thanks to John for the suggestion to add this organization to my big 4-0 blog list.